Lets face it, not only does my kid not like veggies, but I find it hard to eat vegetables day in and day out without any variety. I came up with this recipe inspired by a veggie nugget I had at a friends house. That one had dairy and gluten, so I wanted to make mine more versatile for food sensitivities. I did some straight up experimenting with the flavors and it turns out, these are delicious! I hope you agree! Steam vegetables in the microwave for 2-3 minutes until tender. 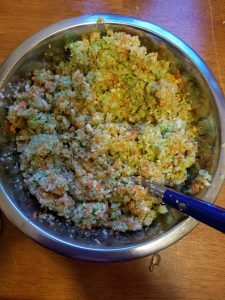 Place veggies into blender and process until mixture is crumbly. If your blender gets too full you can scoop some of the mixture out into a bowl to mix back in later. Add cashews and miso into blender. Pulse until cashews are blended in well. Pour mixture into bowl and add in eggs and spices. 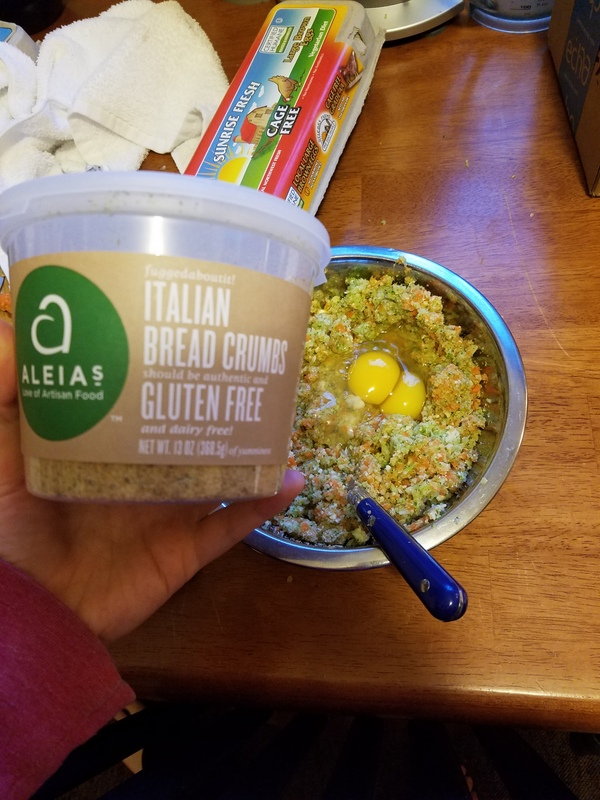 Finally, stir in bread crumbs a little at a time. Heat up avocado oil in a frying pan over medium heat. Scoop tablespoons of mixture into your bands and form nuggets. Place into sizzling oil. Cook until golden brown on both sides. This is usually only a few minutes each side. Remove from pan and enjoy. Makes approximately lots of nuggets. Note: You can serve these with dipping sauce or enjoy them as falafel. I enjoyed mine like meatballs with mashed potatoes. If you are wondering where the heck to get white miso and RAW cashews check out these links to amazon. 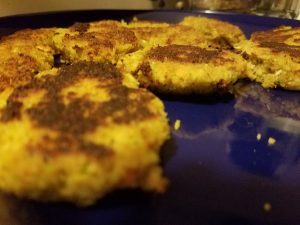 This entry was posted in Recipes and tagged dairy free, falafel, gluten free, kids, vegetable, vegetarian.